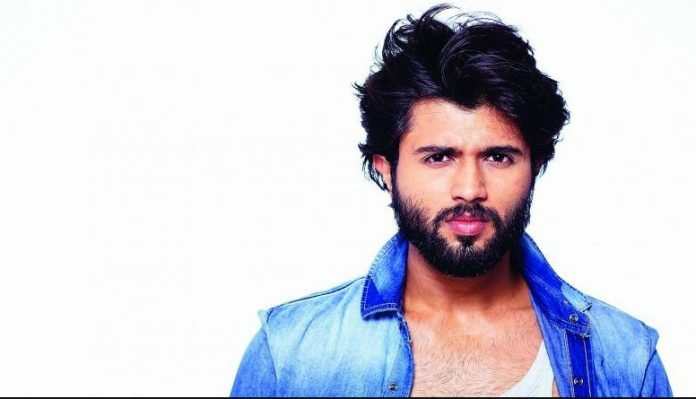 ‘Arjun Reddy’ hero Vijay Devarakonda is ready for his next assignment. According to the sources, Vijay is going to share the screen with veteran actor Victory Venkatesh. The movie is going to be a multi-starrer film with these stars in the cast. The movie is supposed to be made under the direction of Bommarillu Bhaskar. Latest block buster hit movie Arjun Reddy directed by Sandeep Reddy Vanga bought the spot light on Vijay Devarakonda. He made his debut as hero in ‘Pelli choopulu’ movie which resulted in a classy hit. Vijay gained fame for his recent block buster hit ‘Arjun Reddy’ for his bold character. Already the young actor has gained the attention of Audience and made fans in the Telugu state. Back to back hits and natural acting of Vikay won the hearts of the audience. Now the directors are waiting for the dates of Vijay. It is said that Vijay has already signed the film with Venkatesh before the release of Arjun Reddy. So it is obvious that we’re going to watch the multi-starrer film soon. Vijay is now busy shooting his last schedule of upcoming film ‘Shikaar’ directed by Rahul Sankritiyan. The multi starrer film is expected to start its shooting by the end of 2017 or in early 2018. The news would confirm soon. Venkatesh being a full pledged actor is now becoming famous for his multi starrer films. Sitamma Vakitlo Sirimalle Chettu was a hit at the box office with Venkatesh and Mahesh Babu as star cast. Now audience are eager to watch the combo of Venkatesh and Vijay.